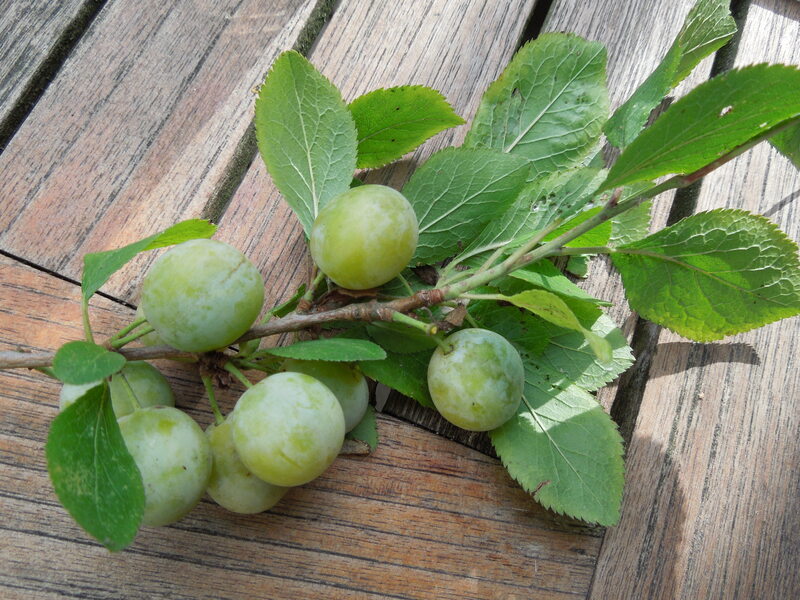 They’re a type of wild plum that grows in the hedgerows in East Anglia, although different varieties apparently grow in various parts of the UK, from east to west. 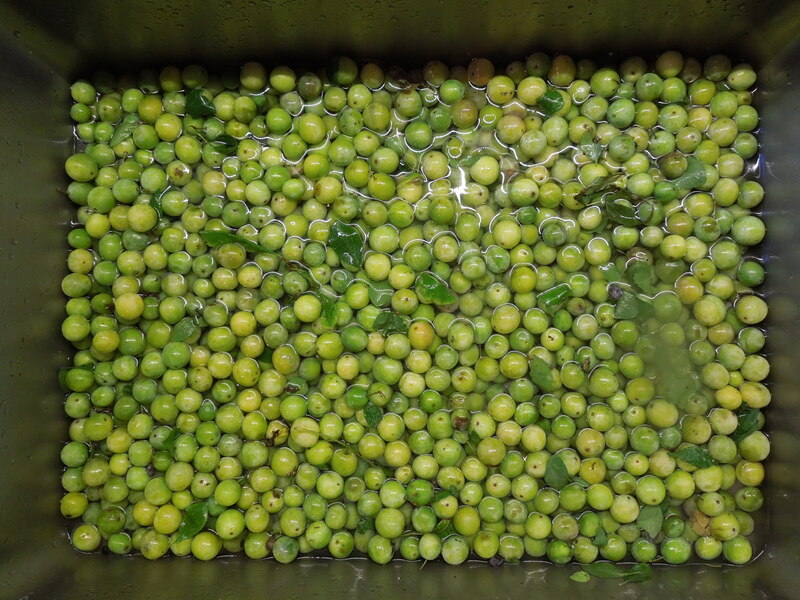 The commonest round here is the White Bullace, actually a golden green in colour, like a very small greengage and with a similar flavour when cooked. It’s apparently a very old variety, known in some areas as “cricksies”, possibly originating from the Anglo-Norman creke. I have no idea what that means as the otherwise informative Wikipedia article abandoned me at this particular turn on the twisty etymological path. But “our” white bullaces grow along the creek, or stream, that runs through our garden, making picking them a somewhat hazardous event. 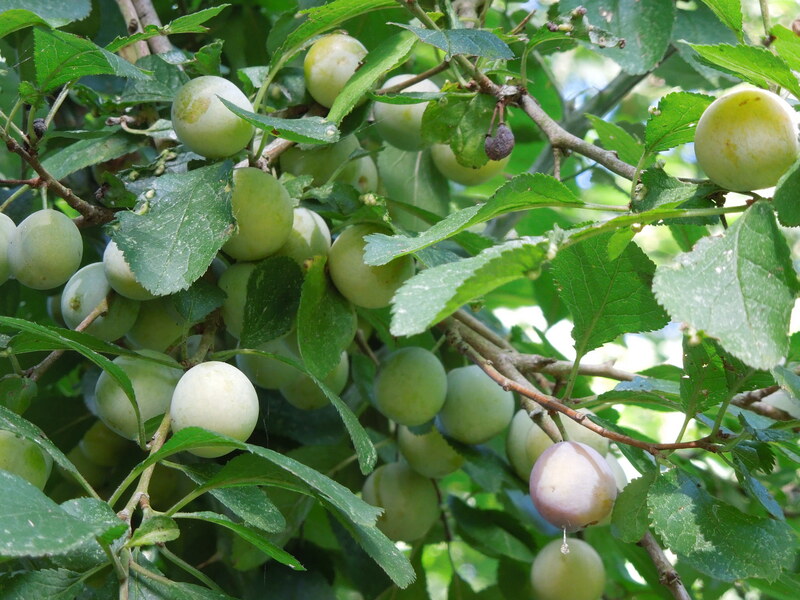 Our fruit farming friend Jamie grows a much bigger black bullace that he rescued when the last existing tree he knew of was about to be grubbed up. He had new trees grafted from the old and they produce a really tasty dark purple plum, equally good in jams, crumbles and plum gin. He gave us a couple of saplings and I’m eagerly waiting for them to get big enough to bear fruit. Our wild bullaces, however, are tiny, about the size of a fat sloe, so they’re mostly skin and stone and are very tart until fully ripe. 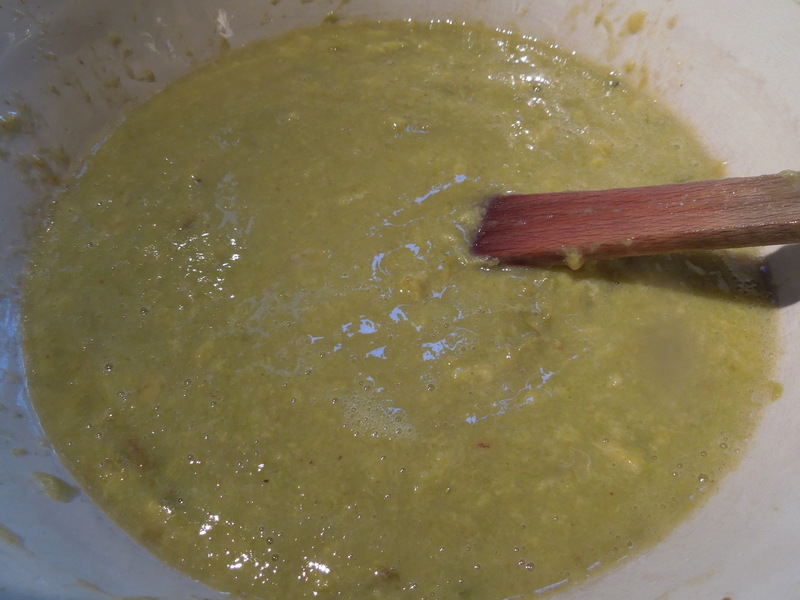 But the flavour is superb, which makes it worthwhile (just about) sieving out all the stones to make jam. 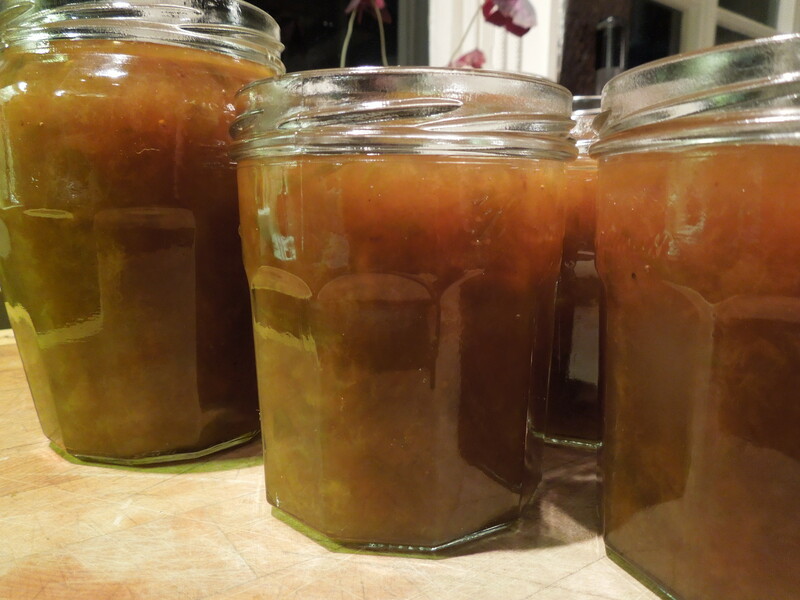 You end up with a quantity of golden amber preserve with a lovely balance of sweet and tart. If you make this with normal-sized plums, you can of course halve and stone them first and save yourself a world of work. 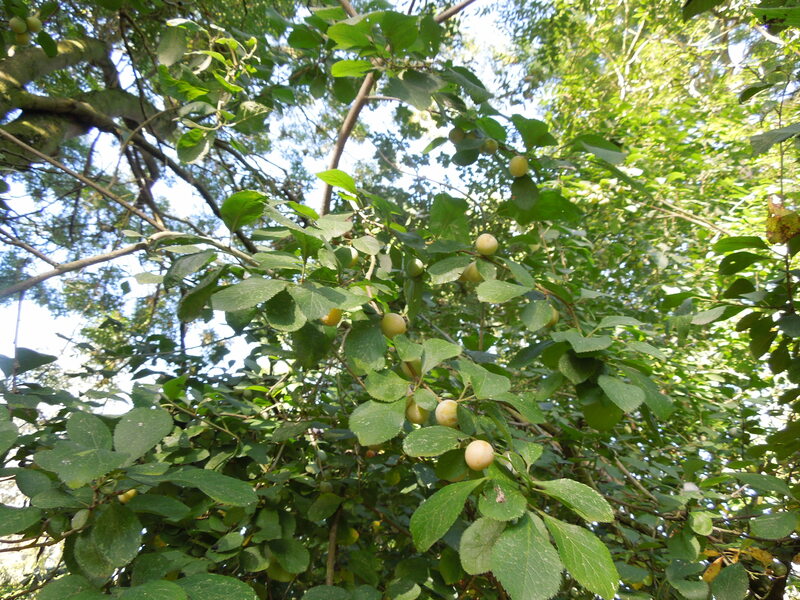 Wash the plums thoroughly and pick off the leaves and stems. Cook the plums gently in a large pan, adding a couple of tablespoons of water to stop them sticking. 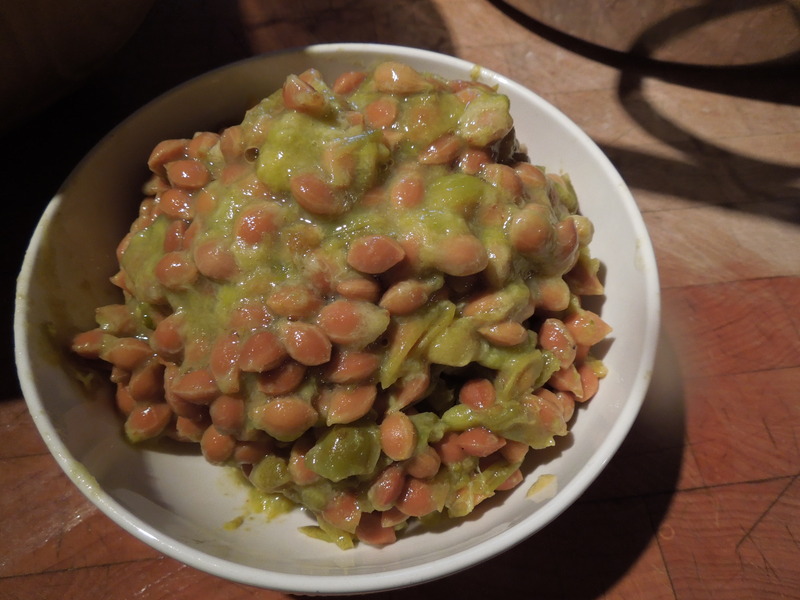 Squash them against the sides of the pan as they soften to release the stones. Then either scoop out the stones as they float to the top, or strain the juice into the cleaned pan, picking out the stones by hand as each batch goes through the strainer and putting the remaining pulp back in with the juice. Grit your teeth, this is a labour of love. Then measure the pulp and juice together and for each pint, add a pound of sugar. Put it all back into the cleaned pan and cook until the jam reaches setting point. 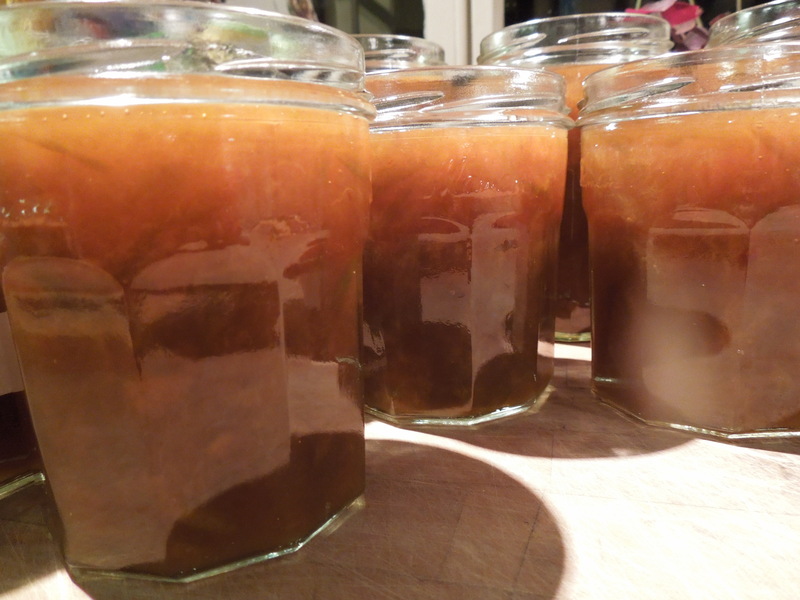 Pot into sterilised jars and seal. 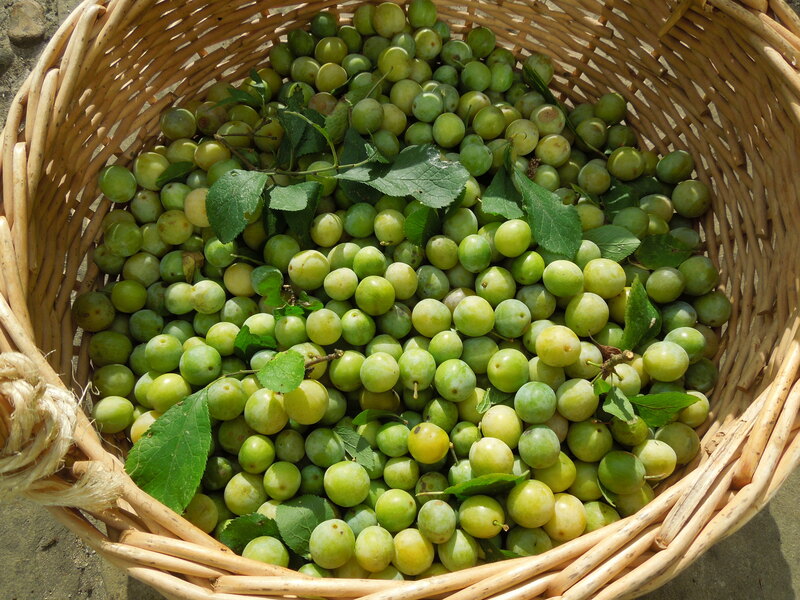 This entry was posted in Foraging, In the garden, Jams and jellies, pickles and preserves and tagged bullaces, foraging, hedgerow fruit, plum jam, wild plum jam, wild plums by Linda Duffin. Bookmark the permalink. I am still at it, the crop this year has been amazing, love the fact that you have all the same jars I am down to anything that has a screw lid! Shouldn’t have given all your spares to me!